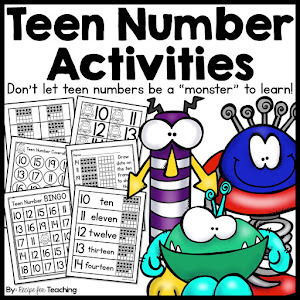 I love to teach math and I love to use literature when teaching math. I was recently sorting through my big books and came across the book, Ten Little Puppies. 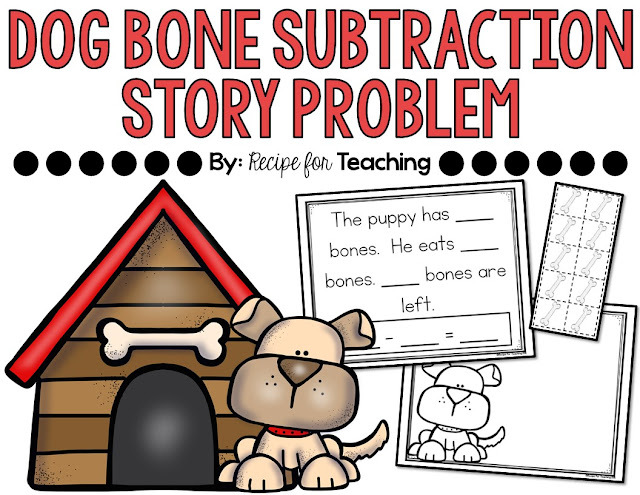 It's a cute story and it's a subtraction story. 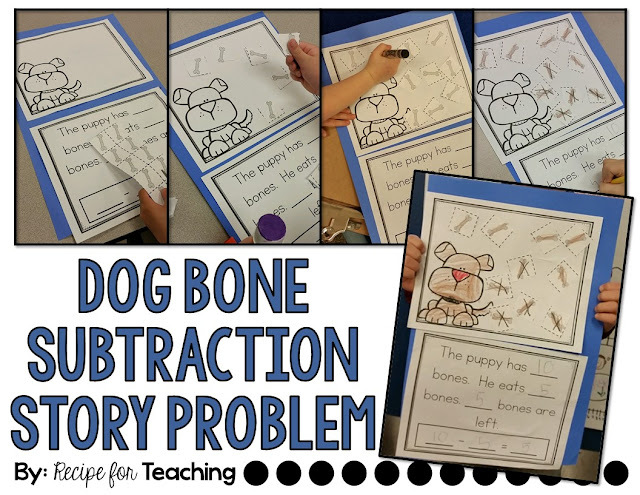 The story starts with 10 puppies and a puppy leaves on each page to go do something so the book lends itself to talking about subtracting one. 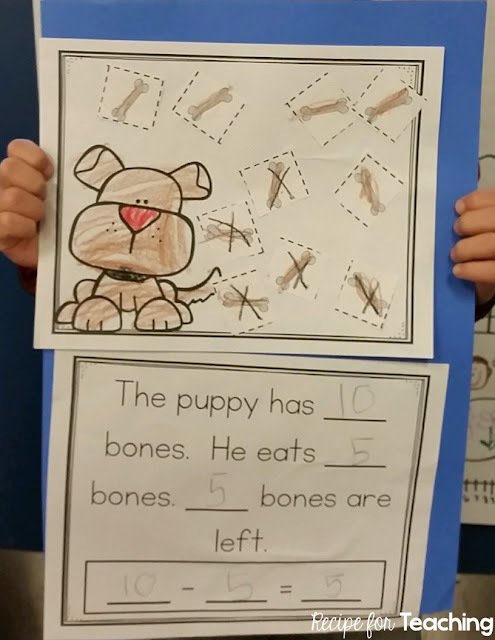 My students loved listening to what the puppy was going to do on each page. I came up with a dog bone subtraction story problem that went along with the Ten Little Puppies book for my students. After we read Ten Little Puppies, I modeled the activity for my students. We read the problem several times and talked about each part of the problem. Each of my students got 10 dog bones. 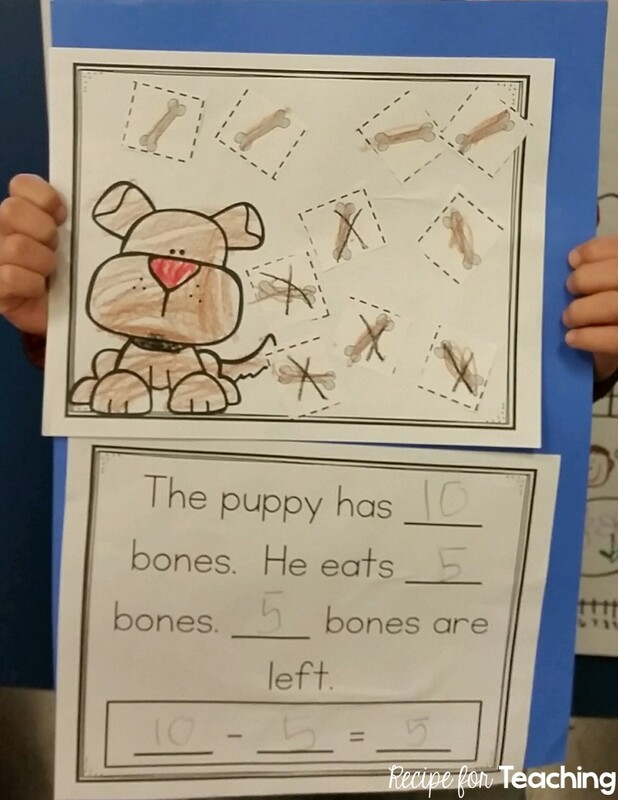 This is an open-ended problem so they were able to decide how many bones the puppy had. Ten was the most that they puppy could have. Then they had to fill in the numbers and determine how many bones were left. They also recorded the equation to match their story problem and picture. 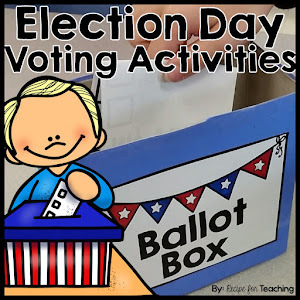 I just think they turned out so cute and they had so much fun doing this activity! 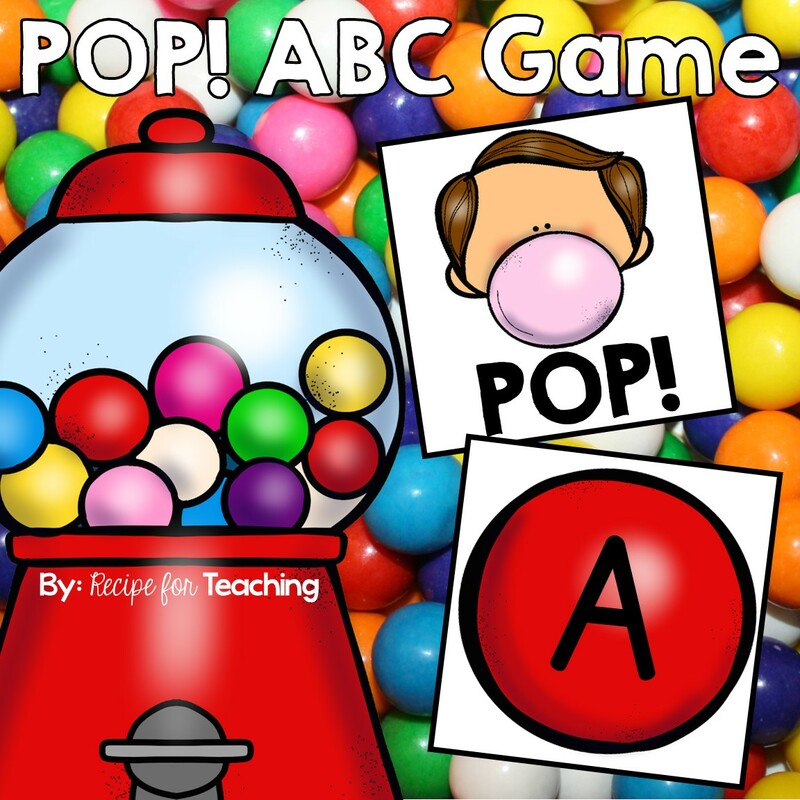 If you want to try this with your students, just click the image below to grab your FREE download!